Netflix released the first trailer for their new adaptation of Shirley Jackson‘s The Haunting of Hill House today, and it looks incredible creepy. Set to a slow piano version of the song ‘Our House’ by Crosby Stills and Nash, it unnerved me like no other trailer this year. Check it out below! A modern reimagining of Shirley Jackson‘s iconic novel, “The Haunting of Hill House” explores a group of siblings who, as children, grew up in what would go on to become the most famous haunted house in the country. Now adults, and forced back together in the face of tragedy, the family must finally confront the ghosts of their past — some of which still lurk in their minds while others may actually be stalking the shadows of Hill House. Timothy Hutton, Elizabeth Reaser, Oliver Jackson-Cohen, Henry Thomas, Kate Siegel, Lulu Wilson, McKenna Grace, Paxton Singleton, Violet McGraw, Julian Hilliard, Michiel Huisman, and Carla Gugino star in the 10 episode series, executive produced by Tevor Macy with Meredith Averill, Justin Falvey, and Darryl Frank, along with series director Mike Flannagan (Hush, Oculus, Gerald’s Game). This is the third time the novel has been adapted. In 1963 we got the classic Robert Wise version The Haunting, and in 1999 we got the no-so-classic version directed by Jan de Pont starring Catherine Zeta-Jones. This version looks to trump them both, and if that trailer is to be believed, it has a decent shot. Well, at least better than the 1999 version.  that is not a high bar to clear. Flannagan is a very talented director, if you have not watched his Gerald’s Game from last year, do do immediately. It is on Netflix after all. 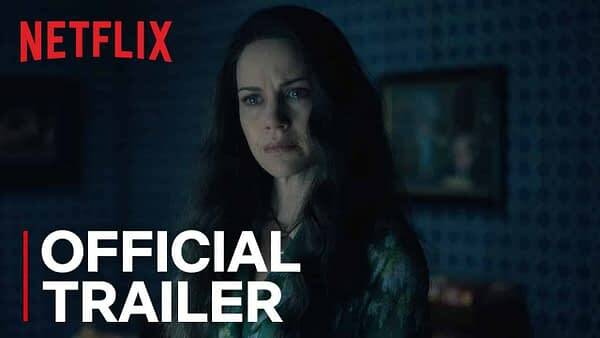 The Haunting of Hill House debuts all 10 episodes on Netflix on October 12th, just in time for Halloween viewing parties everywhere.